How CCRCs Can Help Enrich Your Life: Don’t Give Up Your Hobbies, Bring Them with You! 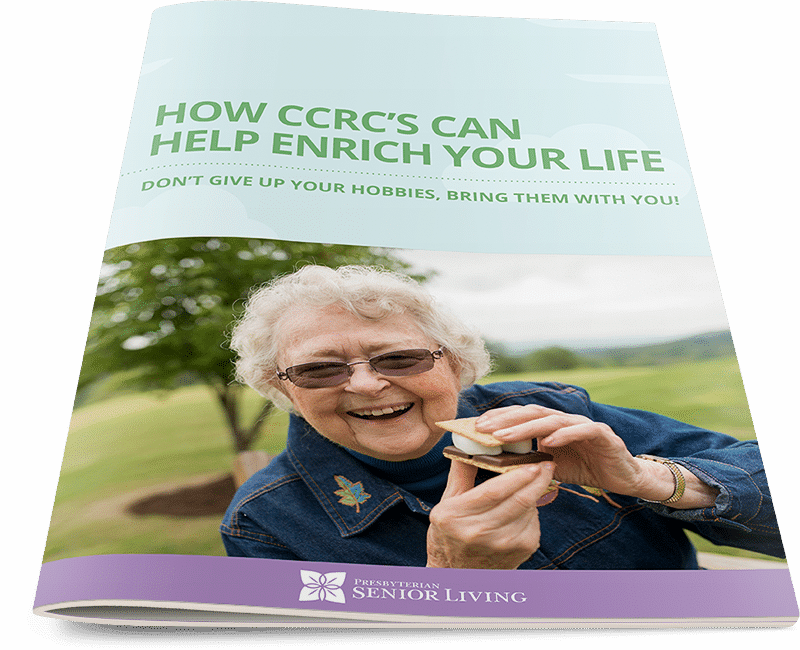 See how hobbies enrich seniors' lives in CCRCs, and how residents have a hand in shaping their activities. Engaging in hobbies and activities at Continuing Care Retirement Communities can enhance seniors’ health and happiness, as well as reduce the rate of physical and mental decline. How participating in engaging activities, hobbies and programs affects seniors’ overall quality of life. Why so many senior adults choose to move to Continuing Care Retirement Communities while they’re still active, independent and healthy. How hobbies like listening to music can provide specific physical and mental benefits for seniors. Fill out the form and find out why hobbies and activities are an integral part of Continuing Care Retirement Communities at Presbyterian Senior Living.